Catch a glimpse of how ancient emperors lived their lives. 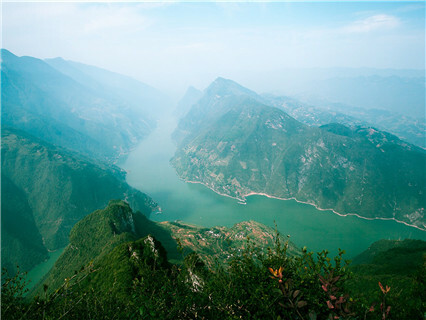 Relax yourself on the cruise of Yangtze cruise and visit the Three Gorges Dam. 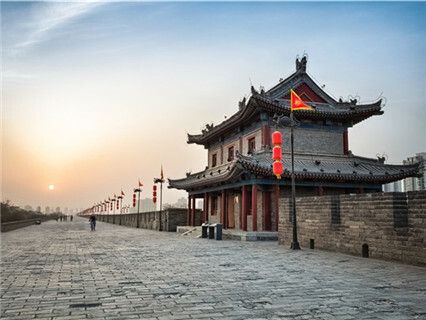 Visit the essence of China in one trip. Upon arrival, be met at Beijing Capital Airport and transferred to the hotel. The hotels in our package are located in the central Beijing-the famous Wangfujing Street. It would be very convenient to walk around, go shopping, have meals and etc. Free at leisure for the rest of the day. This day you will visit Tiananmen Square, where the most important national ceremonies are held, surrounded by many historical buildings. 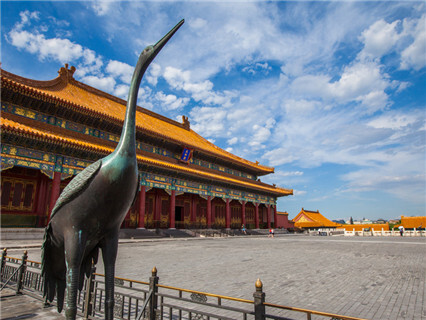 From the square, you can walk to the Forbidden City, the largest imperial palace in China during the Ming and Qing Dynasties with a history of about 600 years Inside this imperial palace, we will explore its fascinating halls, pavilions with golden roofs and high red walls. After we exit the Forbidden City, we will enter another attraction, Jingshan Park, where we will see local Chinese residents taking exercise, singing or dancing, and we will climb the hill inside the park, when we reach the top of the hill, we will enjoy the bird view of the whole Forbidden City and Beijing central city, which is a highlight of today. In the afternoon, you will marvel at the spectacular Temple of Heaven, where ancient emperors came to worship the heavens in hopes of good harvests. 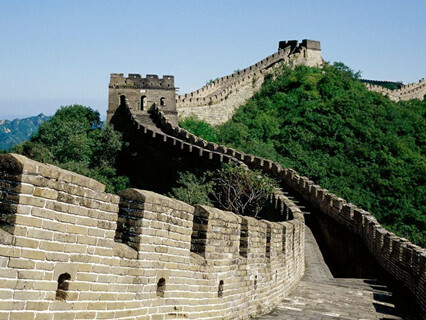 Private tour to visit Badaling Great Wall , the most highlighted sight in Beijing, please be prepared with your shoes since you will climb on the steps of the great wall, to reach the top of the great wall you can choose hike by foot or take the cable car (cable car ticket not included), you will never forget the view on the great wall, one of the seven wonders in the world. Then go to Ming Tombs. Take overnight train soft sleeper Z19 Dep 8:40PM - Arr 8:31AM to Xian. 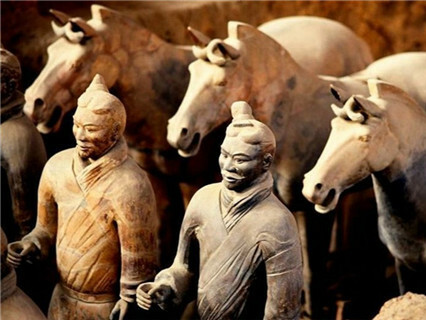 Upon arrival, be met at railway station and transfered to take a private visit of Terra-cotta Warriors and Horses,which is the most important attraction in Xian, there are three excavated pits exhibiting amazing Qin dynasty warrior and horses figures. After the lunch, you will take a afternoon flight to Chongqing. Upon arrival, be met at airport and transfer to dock and board the Yangtze river cruiser. Shore excurison to Fengdu Ghost City (08:30-10:30), where the devil lives: according to Chinese legend. They say that spirits go to heaven, and evil goes to Fengdu. The town is overlooked by Ming Shan Hill, home of Tianzi, the King of the Dead. The whole place has an eerie feel to it with deserted streets, tower blocks, empty shops and banks. The only people here are those who make a living from visiting cruise boats. Shore excursion to Shennong Stream (8:00am-12:30pm). It is another tributary of the Yangtze River, and its fast-flowing, crystal clear water runs southwards through deep gorges. The stream races past large and small karst caves, flocks of swallows, sheer cliffs, deep gorges, waterfalls, three-colored springs, rapids, the ancient plank path, a suspended coffin in the cliff, groups of ancient tombs and marvelous karst formations. Shore excursion to Three Gorges Dam Site (8:30-10:30am). 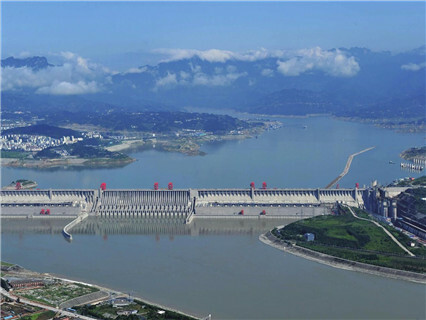 Three Gorges Dam is the largest water conservancy project ever undertaken by man and it has been a dream for several generations of Chinese people. It will be 2,335 meters long, 185 meters high, 18 meters wide on the top and 130 meters wide at the bottom. The tourists can get access to the top of the dam and enjoy different kinds of photo opportunities. Disembark in Yichang, be met by local driver at dock, holding a sign with your name on it, and transfered to airport for flight to Shanghai. Upon arrival, be met at SHA airport and transfer to Classical Hotel, Shanghai. 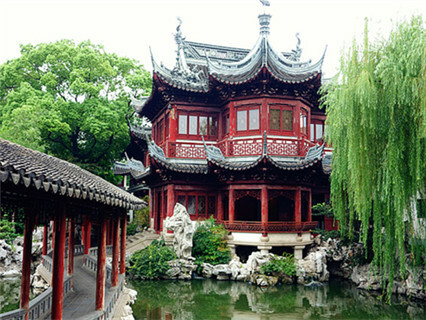 You will visit Yu Garden, and its market, a famous garden in the south China. The symbol of Yu Garden is the Nine Zigzag Bridge built of granite and grass-white jade and the quaint, elegant mid-lake pavilion. Have a visit to Shanghai Museum. Then go to jade Market, The Bund, Then, have a tour to Oriental Pearl TV Tower, across the river, this is a good place to take pictures of Shanghai. After that we will walk to Nanjing Road. Send you to airport for your departure. Dock transfer in Chongqing and Yichang just arrange local driver meet. Domestic soft sleeper train from Beijing to Xian. Domestic flights from Xian to Chongqing and Yichang to Shanghai. 1. Price may vary according to different seasons. 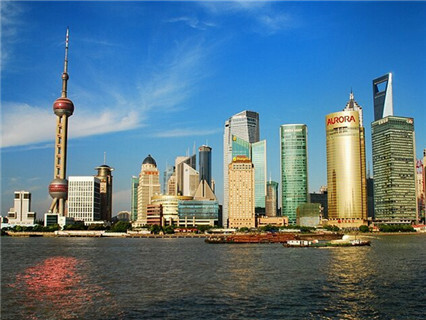 You can extend your stay in Shanghai after this package finished, we will keep the discount hotel rate for you for the extended days. 2. Single Room Supplement: Important note for those who choose to stay in single room by paying single room supplement fee. The above single room supplement fee is only for the single hotel room supplement, it does not includes single cabin on the Yangtze River Cruise. Price for Yangtze River Cruise for person is based on 2 sharing 1 cabin unless specified. Enquiry : Beijing , ,What will be the price to be part of a group ? And the price to leave the tour upon arrival in Shanghai ? ,Yes, we will need Hotel in Beijing and Xian as well flight between the cities. Reply : hello, the tour 9 Days Best Tour is private tour , with 4 stars hotel , if you want end the tour upon arrival in shanghai , the price will be 8800cny per person,if you want to attend the group tour in beijing and xian ,i can make another itinerary plan, what do you think? Enquiry : we looking at tour for about 8 days + - best of china begin Beijing and end Shanghai. 4 star hotel and first class train.We would like a river cruise if possible for 1 or 2 nights,Private tour please.